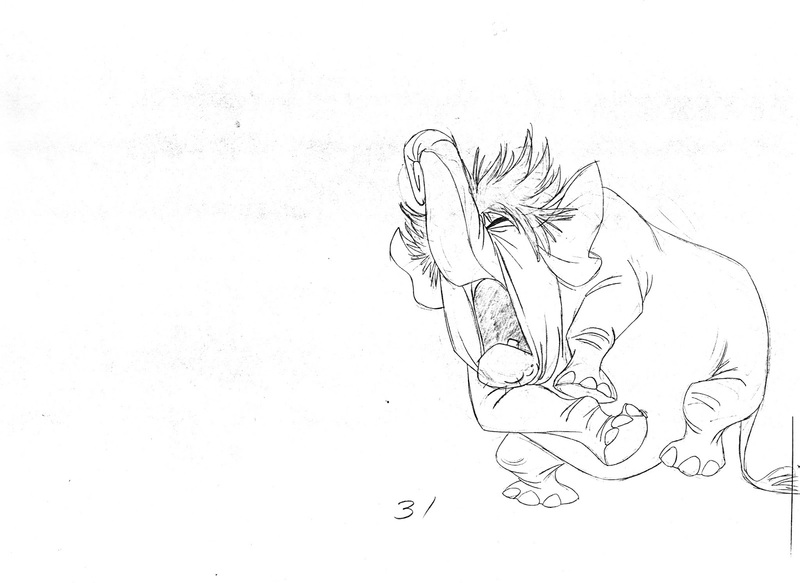 Here are a few color frame grabs from a scene, animated by John Lounsbery. 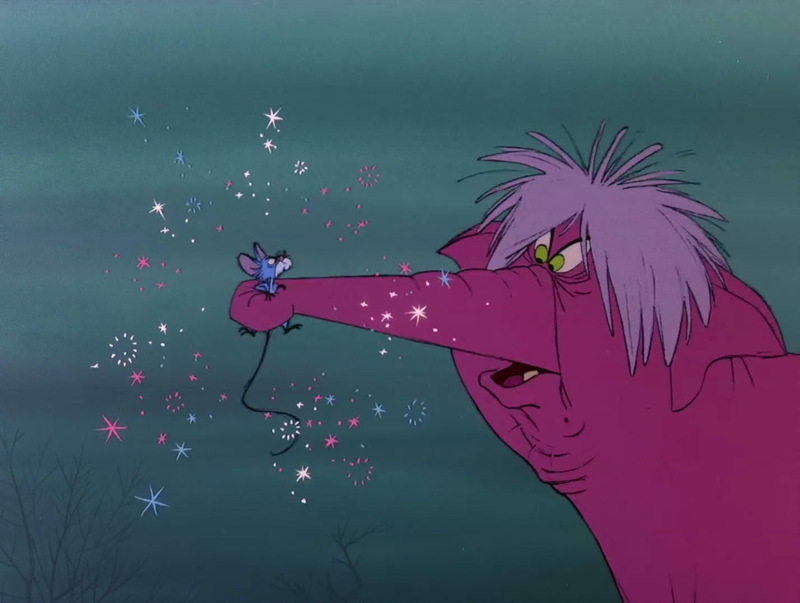 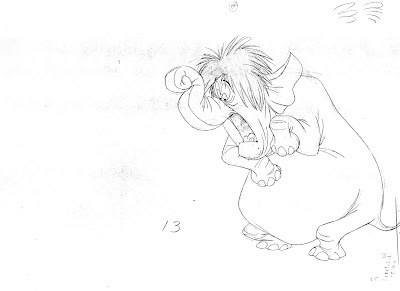 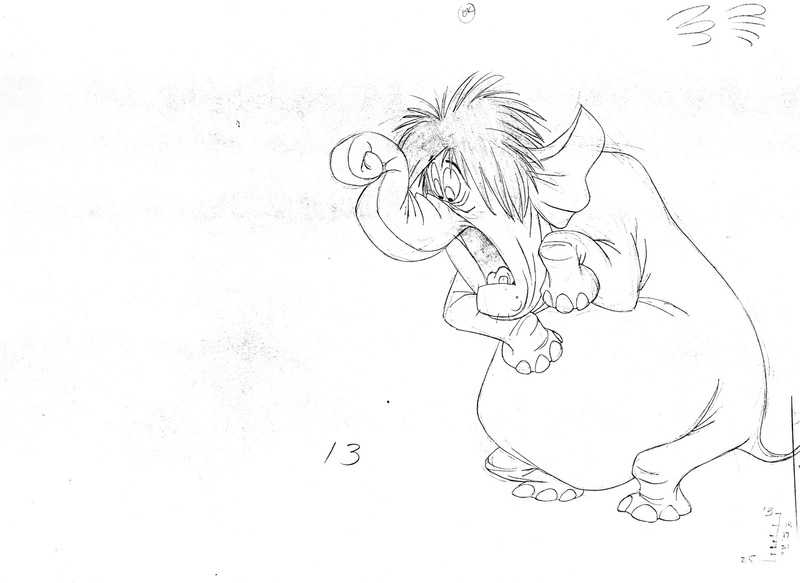 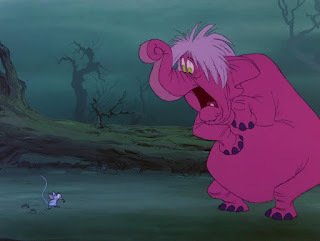 During the wizard's duel Madame Mim has turned herself into an elephant as she attempts to crush Merlin. At the moment she notices Merlin as a mouse, she freaks out and runs away. 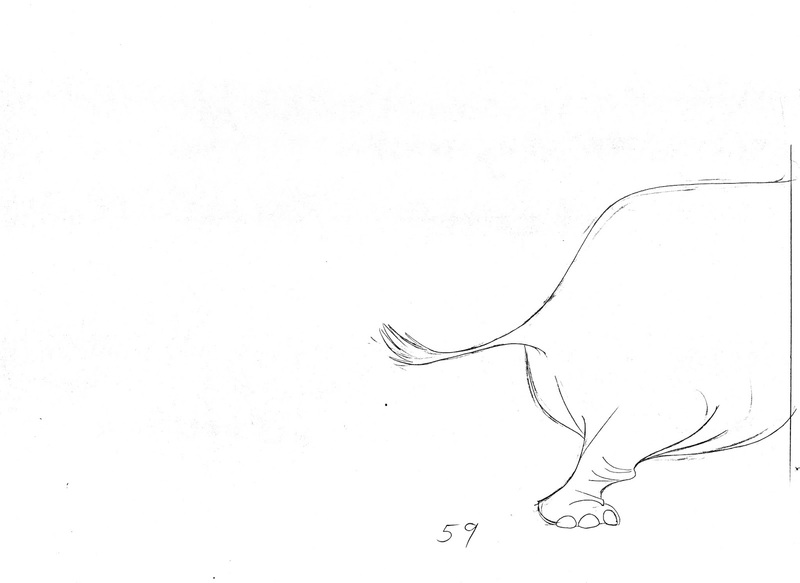 Lounsbery choses an interesting and not an easy way to get this elephant to move screen right. 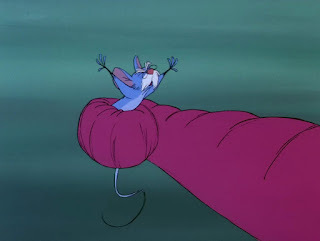 Mim rears up, sort of human like, as she tries to get away from the mouse. 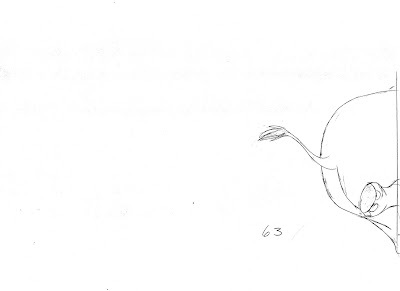 Then comes this complex turn, with all four legs scrambling. 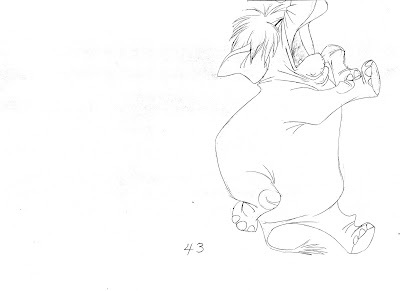 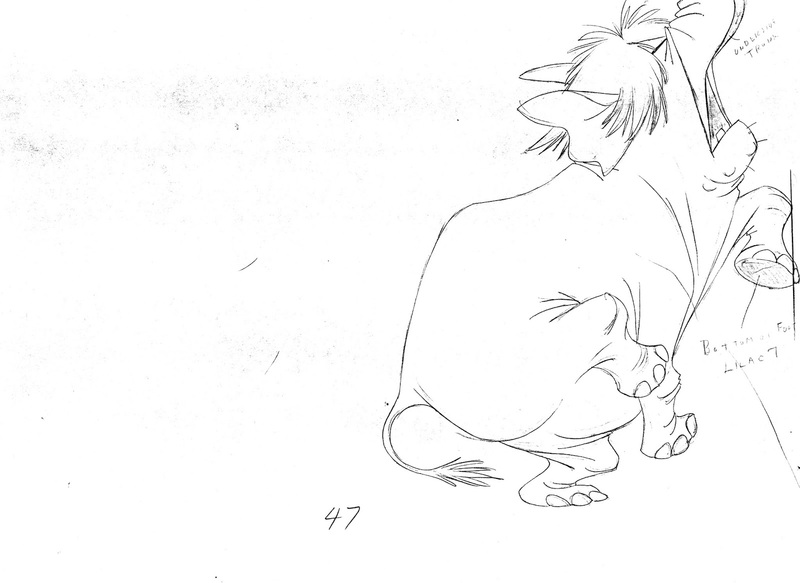 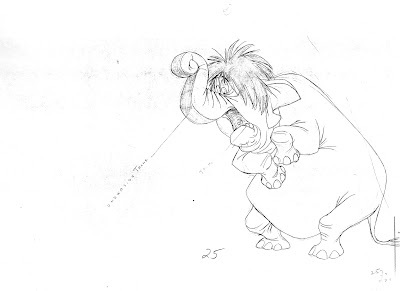 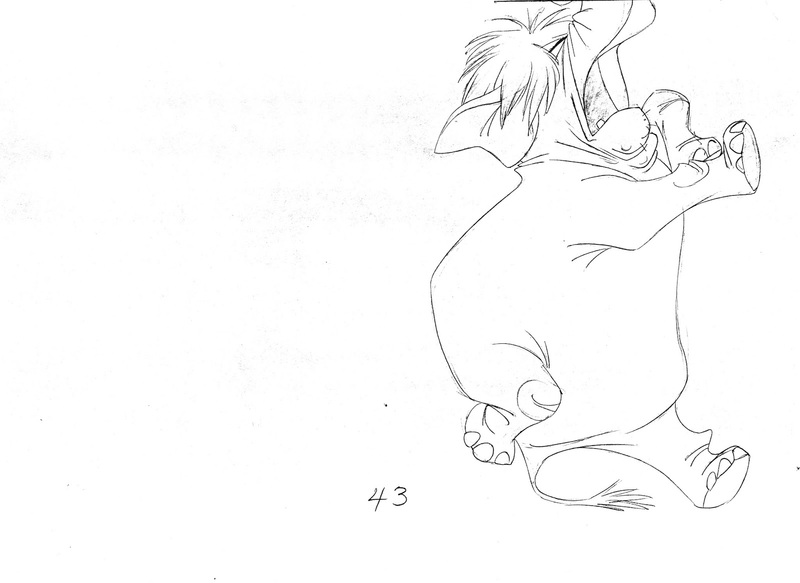 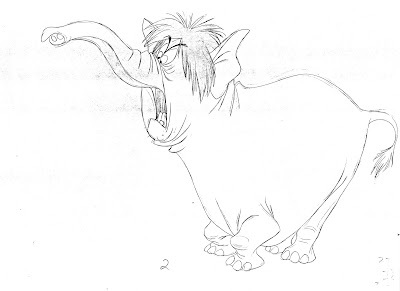 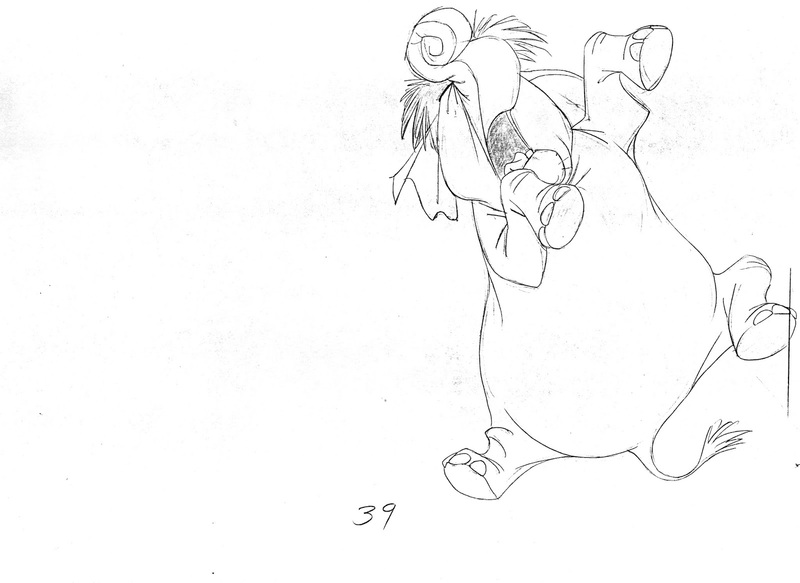 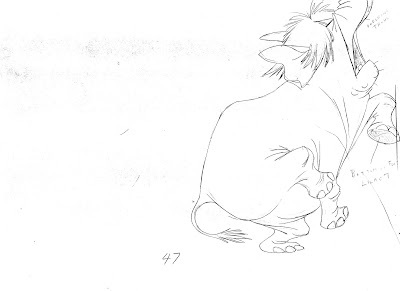 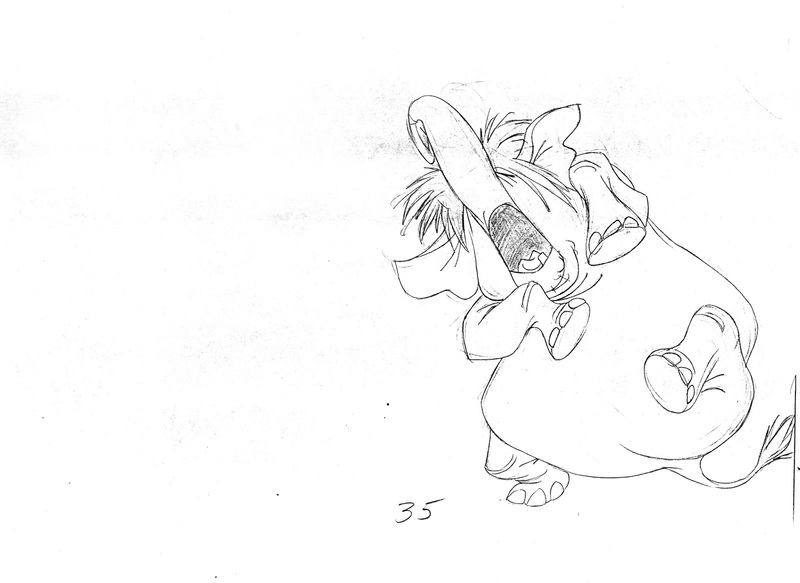 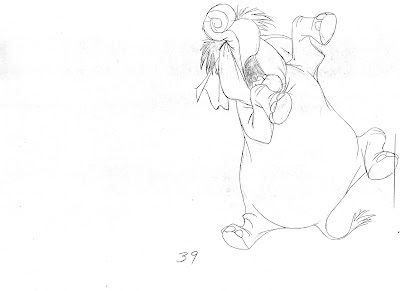 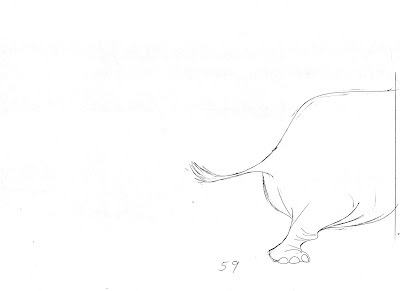 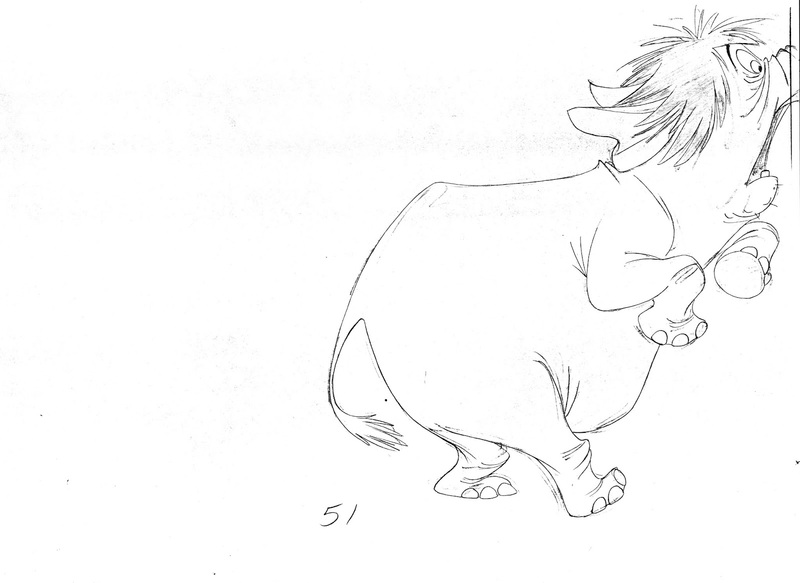 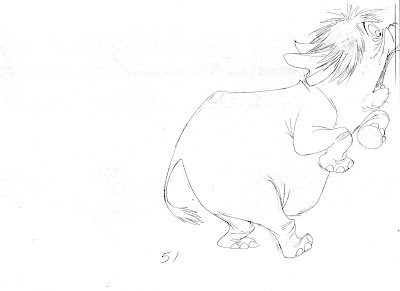 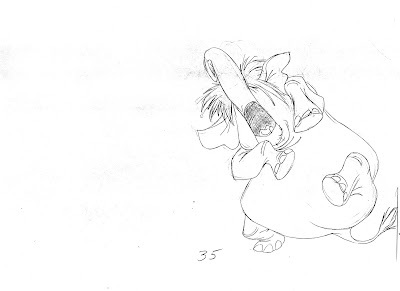 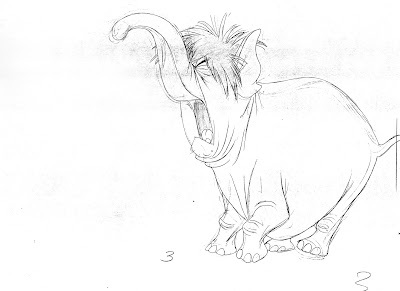 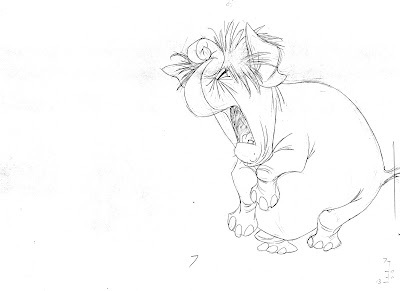 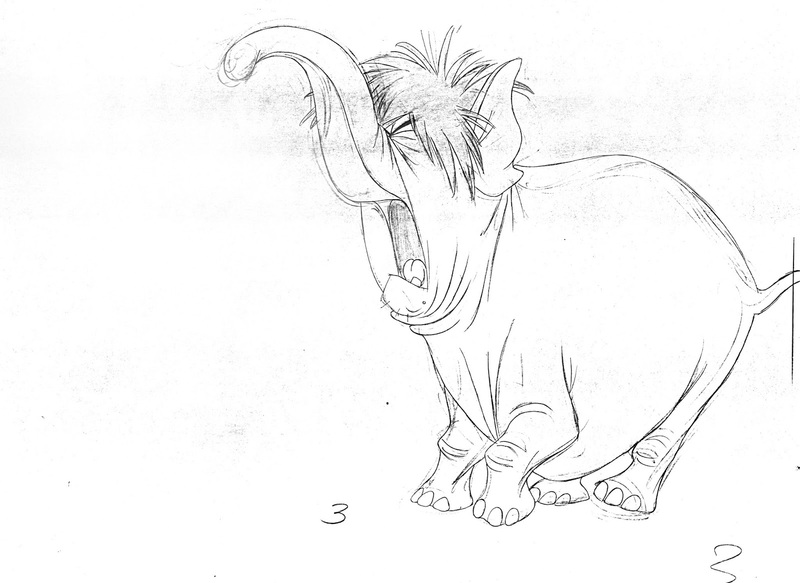 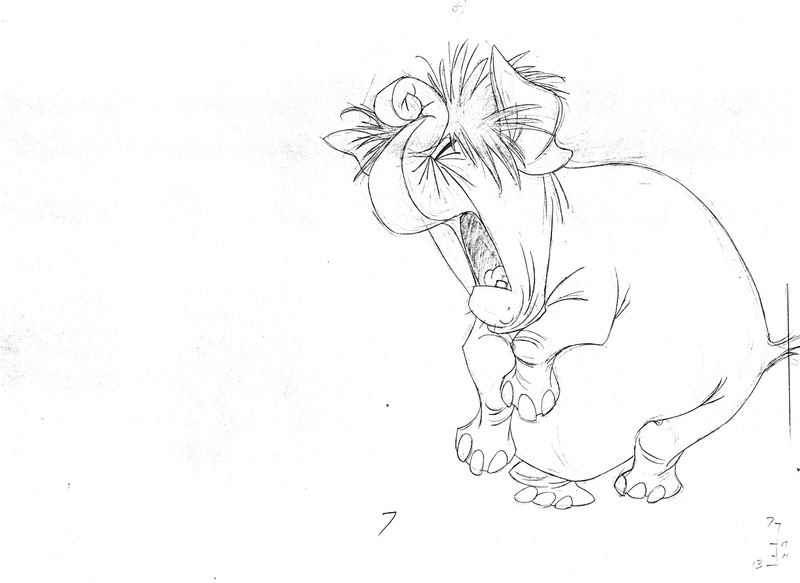 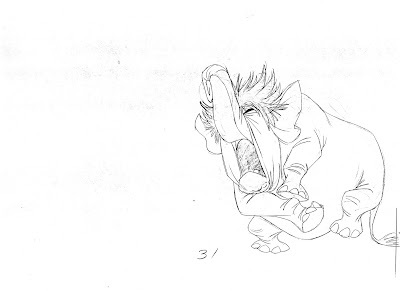 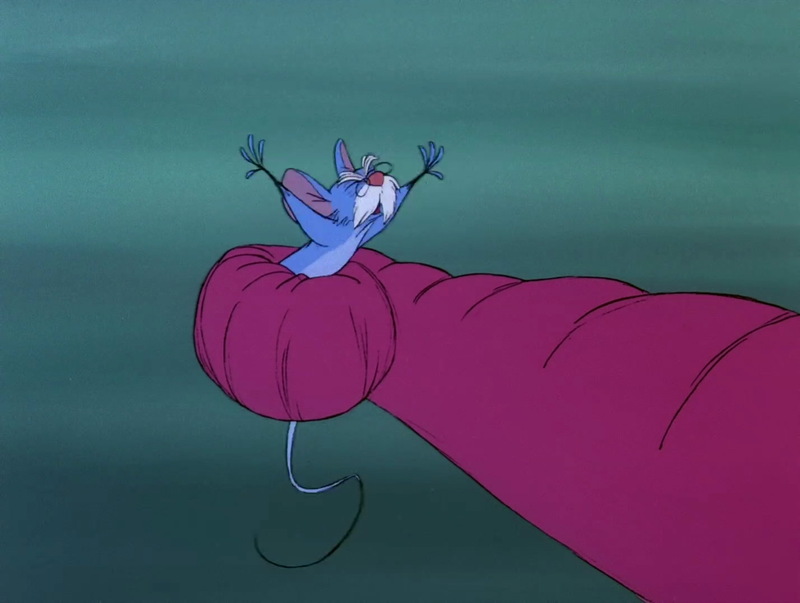 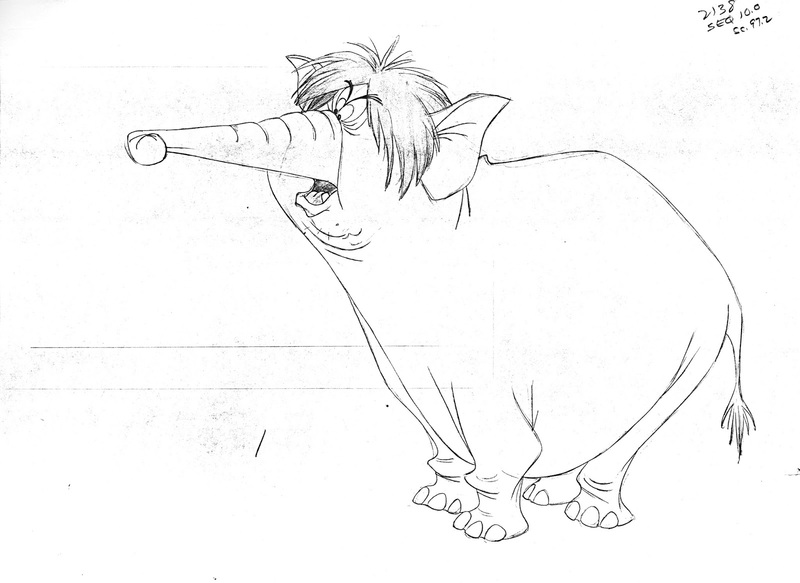 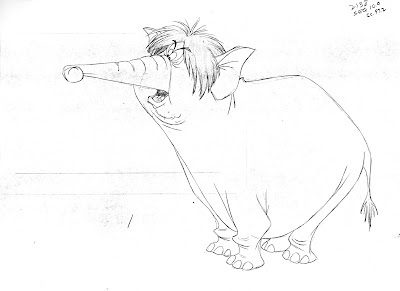 Milt Kahl gave Louns the first drawing for model reference, who took it from there. 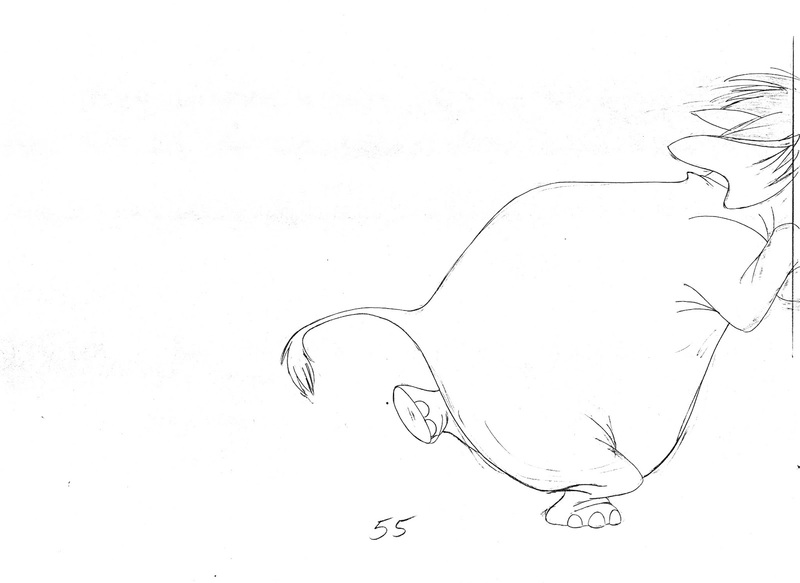 This is pretty cartoony motion, but Mim moves with believable weight and anatomy.